♨ Something for everyone on Valentine's Day; ♨ Doctor Google is in; ♨ You broke your Google Webmaster Tools? ♨ Pinterest says Adios to affiliates; ♨ Cinemagraphs are the new gifs; ♨ Flipboard is now on the web; ♨ How to get extra 2GB of Google Drive space; ♨ YouTube Radio is a-coming! ♨ RIP Google Helpouts; ♨ a 'magical' tablet keyboard like no other; ♨ Apple is making an... iCar? ♨ ...and much more! There’s been quite a bit of discussion lately on the SEO merits (and cons) of using Subdomains vs Subdirectories. Here’s what Google had to say about it. More Google’s John Mueller: Duplicate titles and meta tags are not a Panda search quality issue. Google Webmaster Tools data has not updated for almost a week now. The doctor is in: Google’s Knowledge Graph will soon answer your health-related questions directly in search results. Google+: everything you need to know all in one place – over 250 blog posts in one place. Here’s ‘for just in case’: You can now choose a Legacy Contact to manage your FB account in case of your imminent death. They call it ‘cinemagraphs’, we call it gifs… Facebook is hoping to wow the world (and advertisers!) with the new ad format. Now if you’re on your iPhone or iPad, you’ll see another kind of Pins: app Pins. App Pins will allow you to download iOS apps right from Pinterest. Imgur Pro is now free… and ad-heavy. Something I was looking forward to (since I am mobile-challenged): Flipboard, magazine-like reading platform, launched on the Web. Check your Google account security settings – get permanent 2GB Google Drive space increase! You have to do it before February 17 though. Attention Google AdWords users: get faster and easier URL tracking with new Upgraded URLs. Google Registry has launched the .HOW domains. Looks like YouTube is testing YouTube Radio. Before anyone’s ever heard of it, Google announced Helpouts would be shuttered on April 20. Microsoft releases Windows 10 preview for phones. Microsoft announced OneNote for Windows is no longer a freemium product. It’s… magic! World’s first morphing touchscreen – a mini iPad keyboard like no other. Apple might be ready to take on Tesla with it own… iCar? Fan or not, Valentine’s Day can be a lot of fun – whether it’s coming up with interesting ways to surprise that someone special in your life or coming up with ways to make fun of it. Here’s are a few things to give you last-minute ideas or just a good chuckle. 1. Design your own Valentine’s Day card. It’s not too late to make it special for that someone… special. Forget about store-bought cards and design your own – these free pre-designed icons will make it a breeze. Also a great project to do with your kids!  These icons were designed by a Traffic Generation Café reader, Peter Zvirinski. Pinterest has created a Send a Valentine board – just tap or click the paper airplane at the top of any Pin to send it their way. Public canoodling, be gone: Expedia wants you to #GetARoom for Valentine’s Day and is offering a $50 discount for doing so. If none of the options above apply to you, here’s the one you might like. What do historical figures think of Valentine’s Day? If you need a morning chuckle, this is it. Have a great weekend, Swadhin! Ana — thanks for these tips. I shared the Google video on Google+ via your account and +1 you. I also referenced a post I wrote about semantics http://bit.ly/1yu68V2 on Sherryl Perry’s Keep Up With the Web. The quality of your site is now Google’s (and other search engines) primary criteria for your ranking. Of course, we’ll never quite know how they judge that because they change their algorithms often and it will always be something of a mystery.